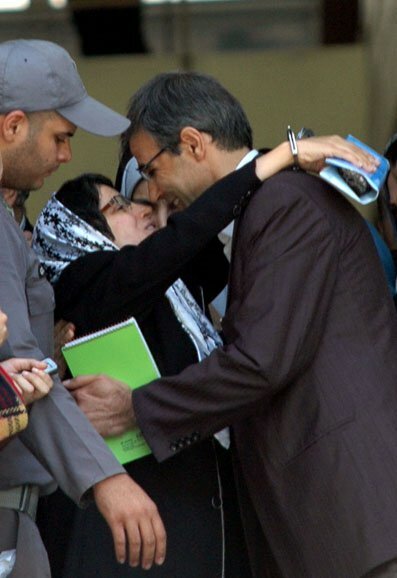 Picture: Nasrin hugs her husband with handcuff on her hands. Nasrin Sotoudeh: "You may take my Law practicing liscence but not the justice" . "I continue my protest against all these injustices against me"
News: On the morning of Sunday May 29 Nasrin Sotoudeh with handcuff accompanied by two guards and a police woman was brought from Evin prison to the office of the Association of Lawyers and then to a court for a hearing on her Law firm liscence. The judiciary power of the Islamic Republic have decided to cancel the law practicing liscence of Nasrin Sotoudeh the imprisoned Iranian human rights lawyer who have been in prison since september last year and in the past was sentenced by kangaroo court to 11 years imprisonment.To carry further pressure on Ms. Sotoudeh and her family ( as if 11 years imprisonment wasn't enough), the judiciary power headed by Mohammad Sadegh Larijani have decided to bring her with handcuff to the kangaroo court ( Yesterday -Sunday May 29)from prison to cancel her law firm liscence.As picture shows , she is not that weak to bend to injustices of a joudiciary system so corrupt and politicised by regime.But , mohammad Sadegh larijani is responsible for all these injustices. For now ,the hearing was adjourned to further date. Free Bahai leaders and stop harsh treatment of Bahai's in Iran ! Stop discrimination against religious minorities and violation of Human Rights ! More than 100 days have past since the arrest of Musavi-Karoubi the two leaders of the green movement and their wives Mrs.Fatemeh Karoubi and Mrs. Zahra Rahnavard. During these period, more division has occured among the regime and more people have joined in protest against these injustices.While the regime and its lacky's are calling these two leaders as the "heads of the Fetneh" ( heads of the seditions), but recently a statement signed by more than 135 clergies and religious scholars has warned the regime for the consequence and demanded for their release. 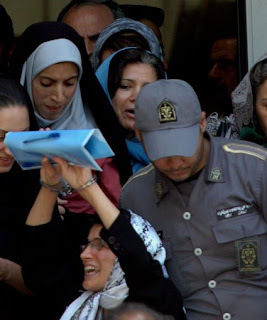 "The Committee of Mourning Mothers of Iran " call UN to act now! We, the supporter of "The Committee of Mourning Mothers of Iran", call upon UN secretary General Mr. Ban Ki-moon to immediately send a delegate to Iran to investigate, identify and prosecute those responsible for imprisonment, disappearance, torture and killing of our children. Tomorrow will be late. Prevent more crimes against humanity now. Political prisoners in Iran are planning major hunger strike! Political prisoners at "Rejaei Shahr" (Gohardasht)prison are planning to begin major hunger strike . 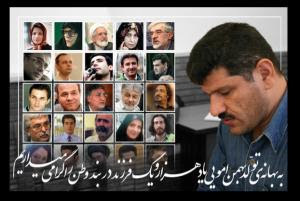 A group of wellknown political prisoners at "Rejaei Shahr " (Gohardasht )prison who had started their on and off strike since April 21 ,2011 in protest to prison and prisoners condition and violation of their rights, announced they are going to start their major hunger strike from May 23rd. According to "Jaras" website ,the prisoners have decided to continue their strike upto June 12 the 3rd anniversary of presidential election coup. Angry Syrian burn Islamic Republic Flag in Syria in protest to their involvement arresting ,wounding or killing the Syrian protesters. May 20 ,2011 Syria -People continue their struggle to bring freedom and democratic establishment in Syria and against dictatorship ! Here are a few picture of Daniel when he was a little boy and his early adulthood.He loved skateboarding and yesterday (Not professional but traveling from his home to a few blocks down)May 7,2011 he was on skateboard coming down toward North on James Street at Charlton, he colided with a car and his right leg broken and had head trauma, brought to Hamilton General Hospital and went to coma ,two hours later he passed away. Police in Hamilton are investigating. Sorry , my blog may be off for sometime. "Gharechak" prison in the city of Varamin is the 2nd "Kahrizak " prison. Regime is transfering the women political prisoners to "Gharechak " prison in the city of Varamin ! The families of the women political prisoners in " Rejaei Shahr " prison, whose loved one's were transfered from "Rejaei shahr" to "Gharechak" in the city of Varamin said; "Gharechak" prison in the city of Varamin is the 2nd "Kahrizak " prison. As we all know ; Kahrizak was the prison, where many Iranian youth protesters after the presidential election coup were transfered, tortured, sexually assualted and then brutally murdered. Several Islamic Republic regime officials including Hossein Taeb, judge Said Mortazavi , Radan , Zolnoor and ....are suspect to these murders.Because of disclosure about Kahrizak prison by the green movement leaders including Mr. Karoubi more attention were focused on that prison. Now , it has been said that ; the prison officials are also transfering the women political prisoners of Evin to "Gharechak" prison in the city of Varamin. The women prisoners told to their families that, this prison is like Kahrizak , because the prison official dont give them food and water on time. The women prisoners said; when they protested to this situation ,they were attacked by Baton and some of them were injured.They said; this prison look more like a " hencoop". Ms. Shabnam Madadzadeh is one of political prisoner who was transfered from "Rejaei Shahr " prison to "Gharechak " prison in Varamin.She said; the situation is so bad ,the prisoners can't tolerate even a day and if this situation continues they will go on hunger strike. In a letter to Mr. Mohammad Sadegh Larijani the head of judiciary power, the women political prisoners asked: "What is the goal of treansfering the political prisoners to a prison located far from their place of residence (Internal exile)? Is it not to create a condition for their gradual death ? The "Gharechak " prison like "Kahrizak " prison is located around Tehran. The families of the women political prisoners have no news about their loved ones and are worried about their situation. The wave of protest is going to start again in Iran! Students : University isn't garrison ! Students movement announced they are going to protest starting on May 15. The slogan: University isn't garrison ! Statement by Ahmad Zeidabadi, laureate of the 2011 UNESCO/Guillermo Cano World Press Freedom Prize. I would like to greet the honourable Director General of UNESCO, as well as the members of the Prize Jury for their efforts and for the honour they have bestowed upon me with the award of the UNESCO/Guillermo Cano World Press Freedom Prize. I feel sad and apologetic for not being able to draft a message worthy of the occasion and your gathering. As you may be aware, the Revolutionary Court in addition to sentencing me to six years' imprisonment, five years of exile and a lifetime ban on political, social and journalistic activity has also banned me forever from any writing and speaking. Therefore, any message by me would add to my suffering and that of my family. Despite that restriction, I would like to make it clear that in the performance of my profession, I had no means but my pen and my speech and that in using those means, I never went beyond the narrow and limited confines of the Iranian government's laws and regulations. But, in violation of their own laws and regulations, they have imposed pain and suffering beyond my endurance -- pain and suffering resembling those of a person who is crucified for weeks or buried alive. While in prison, I constantly strive to forgive, but I cannot forget. Finally, in accepting this Prize which is in reality a recognition of all prisoners of opinion in my country and my imprisoned or exiled colleagues, I dedicate it to my family and in particular to my wife and children. In addition to the psychological pains of these two years, they have for the past ten years had to live with the dread of an expected "knock on the door." With every unexpected knock on the door, their fragile and innocent hearts were agitated. I also dedicate this Prize to the mother of Sohrab Arabi* and all other heartbroken mothers whose sons never returned home. I dedicate it to all tearful mothers, sisters, daughters and the children who live with the pain of having their loved ones in prison. For remembering us, God will remember and reward you. (Toronto, May 3, 2011) Canadian Journalists for Free Expression (CJFE) is troubled by the disappearance of Al Jazeera journalist Dorothy Parvaz, who has not been heard from since April 29, 2011, when she arrived in Syria. She is presumed to be in the custody of the Syrian government. Parvaz has American, Canadian and Iranian citizenship, and entered Syria under her Iranian passport. She arrived in Damascus on a Qatar Airways flight, but has not been heard from since she arrived at the airport. Al Jazeera has stated that they are concerned for her safety and are “requesting full cooperation from the Syrian authorities to determine how she was processed at the airport and what her current location is.” She has worked for Al Jazeera since 2010, and recently covered the tsunami and earthquake in Japan. Parvaz’s family has issued a statement describing her as a determined journalist, “dedicated to the profession as a force for peace and justice in the world.” Her family believes that she is being held by government authorities in Syria. Parvaz was sent to Syria to cover the antigovernment protests. The Syrian government has not confirmed or denied whether she has been arrested. The Iranian foreign minister, Ali Akbar Salehi, has demanded that the government of Syria look into the matter. In a letter to the Canadian government, CJFE urged the government to add its voice and call upon Syrian authorities to cooperate fully in locating Parvaz and to ensure her safety and immediate release. Since the current strife began in mid-March, many local journalists and bloggers have been detained, most of whom remain in custody. Journalists known to have been detained by Syrian authorities include Omar Koush (a Syrian journalist arrested at the Damascus airport on May 2), Fayez Sara (a Syrian journalist arrested on April 11), Mohamed Zaid Mistou (a Norwegian journalist of Syrian origin arrested on April 7), Doha Hassan (a photographer and journalist detained on March 26) and Kamal Sheikhou (a Syrian blogger arrested on March 15). Jordanian journalists Akram Abu Safi and Sobhie Naeem Al-Assal were detained on March 24 and released April 6. Algerian journalist Khaled Sid Mohand was arrested on April 9 but released today. Restrictions have been placed on media organizations operating in Syria and almost all foreign media has been banned making it difficult for information to reach the outside world and even circulate within the country. It appears that the government has responded quickly and harshly to antigovernment protests, with the intention of immediately silencing the protesters by any means necessary. Reports indicate that hundreds of protestors have been killed. In response to restrictions and attacks on its staff, Al Jazeera suspended its operations in Syria indefinitely on April 27. Read CJFE's protest letter here. More dispute and tension among Islamic Republic regime officials! The talk of the week in Iran : Ahmadinejad's Government has relation with "Jinn"(witch's) ! Continuation of differences among Khamenei and Ahmadinejad to a new stage. After a dispute between Ahmadinejad and Moslehi the Minister of Information and his subsequent resignation and the acceptance of his resignation by Ahmadinejad and then Khamenei's intervention and reinstating Moslehi to his position, and because of this , Ahmadinejad did not attend in his cabinet meetings for more than a week. the current talk among Iranian is that; the government of Ahmadinejad has relation with " Jinn " (witch's) . The Government of "Jinn and fairies" . This Government acts as a band (Mafia). Mr.Esfandiar Rahim Mashaei was the deputy president and head of presidential office and he is also the father inlaw of Ahmadinejad's son.According to report, Rahim Mashaei is the master mind of theories or philosophy behind president and not Mr. Samareh Hashemi who everyone thought so. In recent months Rahim Mashaei brought a discourse on "Jomhouri Irani " (Iranian style of Republic) and "Islame Irani " (Iranian style of Islam ) during his speech.He also defended Syrus the great and displayed the ancient historic "Human rights cylinder " ( Syrus the great human rights charter on a clay cylinder)in Iran for public to see.This discourse brought uproar among radical clergies and ayatollah's. So, the radical clergies and ayatollahs reacted against this discourse and therefore attacked Ahmadinejad and Rahim Mashaei.Some of the clerics even went further asked God to kill him (Rahim Mashaei). Based on the talks among radical clerics and Ayatollahs and publication of those talks , Rahim Mashaei and his circle have relation with "Jinn" or witch's/witchcraft and magics. The Clerics and Ayatollahs also feel being threatened by Rahim Mashaei and company on the discourse of "Iranian style of Republic ", a discourse against Islam and the clerics. 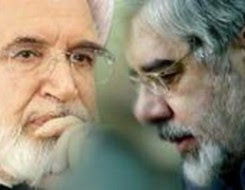 Recently a video clip in mass number was released into the public known as " Zohoor Nazdik Ast" ( The advent or appearance of the 12th Imam is close), which also created uproar among Ayatollahs, those who believe Rahim Mashaei is into something and creating a situation preparing for his presidency in the next presidential election or strengthening his position as well as Ahmadinejad's and their bandits (Mafia) against the Khamenei's. Because of all these ,just in last week 25 members of Mashaei -Ahmadinejad witch hunting circle including Cleric Amirifar, the Imam of the presidential palace were arrested. As if the historic land of Persia and the cultured people of Iran had something lacking or missing and that was having relation with "Jinn" ( the Witch's). On this note i would like to congratulate the Islamic Republic for creating a Government in the 21st century having relation with "Jinn" or" Jinn and fairies" (the witch's) and superstitions. What a world they are in!? Focus on political prisoners in Iran!And now about Zia Nabavi the Iranian political prisoner.Zia speaks about"Karoon"prison in Ahwaz city !
" What is going on here is undescribable.I haven't experienced this conditions before and i haven't even heard or red about it anywhere.No film or story showed or told about this conditions .Lots of people in a small space with no place to walk or an open area to breat.For the last few months that i'm here , i'm losing the concept of human lives from my mind." "The main and biggest problem of "Karoon prison" is the massive number of population, for example in ward number 6 where i live ,there must be 110 people based on the number of beds, but on average there asre 300 people, this means three times more. This is in a way that ; even if the people stand close to each other , there would be no space in the rooms. Therefore, lots of people including me sleep on the floor. Close to 1/3 rd of the prison population sleep in prison yard ( Hayat Khab), under the heat of the sun or cold . There are prisoners who do not have place to sleep ,therefore sometimes when it rain they sleep in "Cheragh Khaneh" ( Kitchen) or in Bathroom or washroom.This is horrendous ,but my only hope is to stay alive. While the ward number 6 is known as "Security ward" but only 1/6 of the prisoners are political or prisoners with security issue, but the rest are drug dealers or robberers. The other problem is the deteriorating swage system, where rat and cockroaches comes out of the pipes. another problem which is more serious is the leakage from swage system and the smell , which causes theose who sleep in the yard to look for another place to sleep.Since the prisoners have no other place , they return to the same smelly area to seat or sleep." Zia Nabavi was sentenced to 15 years imprisonment (with internal exile)by judge Pirabbasi, judege of the division 26 of the court of revolution.This sentencing later was reduced to 11 years imprisonment.Zia is accused of having relation with "Mojahedin Khalgh" organization, which he denied and he expressed his dislike of this organization. Siamak Pourzand imprisoned senior Iranian journalist in protest to the condition imposed on him by Islamic Republic judiciary jumed to his death ! Siamak Pourzand the imprisoned Senior Iranian journalist in protest to the condition imposed on him jumped to his death from a six floor balcony where he was under house arrest! Siamak Pourzand was the husband of Mehrangiz Kar the Iranian lawyer and women rights advocate.A pioneer in defending the human rights in Iran.Mehr Angiz Kar left Iran several years ago for cancer treatment and escape from continuous pressure,threat, intimidation and persecution. She lives in America. Her two daughters are also living outside Iran. This is the destiny and story of almost all Iranians who are independent journalists,writers,film makers , student activists, women rights advocates, human rights defenders , impartial lawyers , leader of the workers and religious minorities like Bahai's or ethnic minorities like Kurdish under the Islamic regime. Siamak Pourzand was either in prison or in hospital due to his health condition since 2001.He was in prison under security organizations of the Islamic Republic and he was banned from leaving the country. 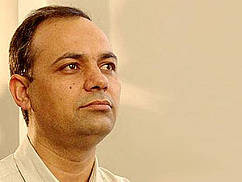 Siamak Pourzand started his career in 1952 as journalist with " Bakhtar Emrooz " the newspaper managed by Doctor Fatemi the Foreign Minister of Doctor Mohammad Mossadeq the prime Minister of national Government.He was arrested first by Islamic Republic regime security agents at the end of Automn in 2001. 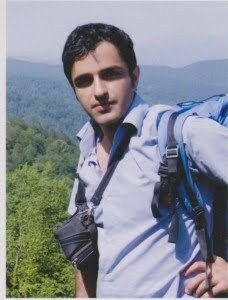 While in prison Siamak Pourzand was held in solitary confinementfor months and was under physical and mental torture. While in prison for a year ,Mr. Pourzand was banned from having his wife as his lawyer and then in a sham/kangaroo court trial he was sentenced to 11 years prison. Later his health deteriorated and he was transfered from prison to his home ,where he was under security watchdogs. while grieving Lili pourzand told BBC Farsi TV that ; the family members during last 10 years have written many letters to regime officials ,even to Khamenei to let Mr. pourzand leave the country to join his family or assure the safety of the family to visit Mr. pourzand in Iran , but none were answered or fulfilled. Lili pourzand the daughter of Siamak porzand said: "On Friday night i spoke with my father , and told him to go to the hospital for treatment and he promised me to do that , and for follow up ,i called at home several time on that night, at the end a person told me that he has died ." 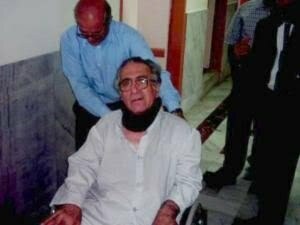 Siamak Pourzand a senior journalist ,80 years old, ended his life by jumping from the six floor balcony and became free at last. The tragic life of Mr. Siamak Pourzand and hundereds or may be thousands other Iranian are the real situation that need to be addressed and why UN must intervene fast.